Shiv Nadar University Admission 2019 – SNU Admission for the academic session 2019-20 has started for all the Undergraduate programmes, Postgraduate programmes, and Ph.D. programmes. SNU Admission leads to getting admission in School of Engineering, School of Humanities and Social Sciences, School of Natural Sciences, School of Management and Entrepreneurship. The candidates who are eligible and willing to take admission SNU, have to apply by filling the online application form with is now available. Know all details regarding SNU Admission 2019 on this page below. 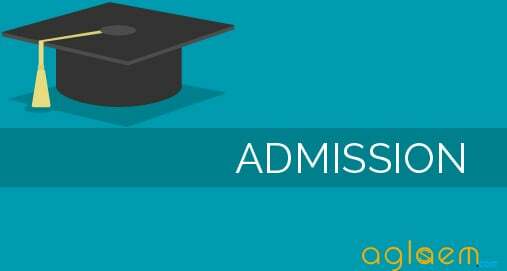 Latest: Shiv Nadar University has released the application form for admission in all the UG courses – Apply Here. To apply for PG and Ph.D. courses check the links below. Shiv Nadar University selects candidates for the UG courses based on the Class XII or JEE (Main) scores followed by SNUSAT and APT and a review of a candidate’s Application Form. Shiv Nadar University offers many courses for UG programmes. The UG programmes, PG programmes, and Ph.D. programmes information have stated below. Desired candidates may go through it. The application forms are available in the online mode only. Candidates can fill the same from the official website www.snu.edu.in or the direct link available on this page. 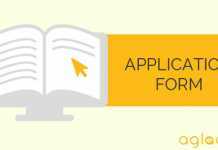 Candidates must check the eligibility before applying for the Shiv Nadar University Admission 2019. Apply for SNU UG Admission 2019 now! The admission process for the Undergraduate course is divided into three parts. The information of Admission process is as per the last year record for the Interested candidates. Part 2: They then appear in Shiv Nadar University Scholastic Aptitude Test (SNUSAT) and Academic Proficiency Test (APT). A combined three-hour test to be administered in more than 100 Pearson VUE test centers across India helping every aspirant to participate in the process. Part 3: After this, SNU reviews application forms to see knowledge for the program and the ability to adapt to University. The admission process for MBA course is divided into three steps, candidates can check it from the below. Step 1 – Application: The candidate will need to make a detailed application online in the prescribed format from www.snu.edu.in. Please ensure the information you provide is accurate and detailed. Step 2 -CAT/GMAT/XAT/NMAT Score: Candidates can apply for admission based on the score in one of these tests. Step 3 – Personal Interview: Based on the above two steps, shortlisted candidates will be invited for a Personal Interview. Computer Science & Engineering Ph.D., M.Tech. Electronics & Communication Engineering Ph.D.
Life Sciences / Bioinformatics Ph.D.
Water Science and Policy PG Diploma, M.Sc. SNU is a preferred hiring choice for both Indian and international organizations ranging from Multi-Disciplinary Employers, Consulting companies, Engineering, and Manufacturing companies, Startups, Think Tanks, Financial institutions, Academic institutions, NGO’s and Social establishments, etc. Shiv Nadar University is a comprehensive, multidisciplinary, research-focused, and student-centric University offering a full range of academic programs at the undergraduate, postgraduate and doctoral level.